Street Address : 304 Ontario St.
Isaac Cohen was born in Seda, Lithuania in 1873, leaving for New York at age 16 where he was apprenticed to a cigar manufacturer. In 1890, he left for Hamilton where there were several families from Seda already settled. He worked for Hersh Freiman in the scrap business and taught Hebrew to children in their homes. It was while teaching that he met Anna Steinberg, born in 1880 in Balbierashak, Lithuania. 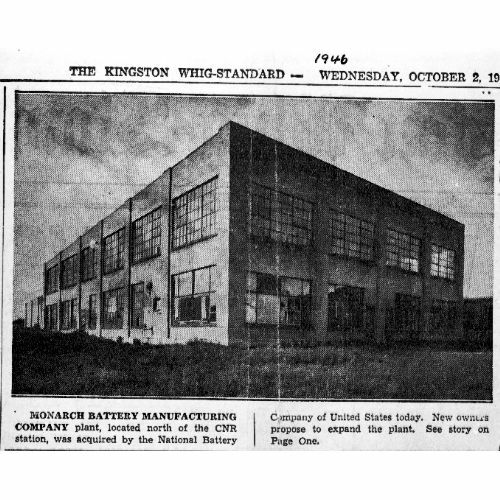 The couple settled in Kingston in 1898. Max Susman and Isaac Cohen began their scrap business on Princess Street in 1899. By 1903 they had expanded the business to establish another yard at this site on Ontario Street. Access to their frame buildings was through a passageway beside Oberndorffer’s cigar factory on Ontario Street in mid block. At this time, the area was industrialized. Cohen’s company buildings were likely demolished in 1947. In 1916, the partnership was dissolved and I. Cohen and Co. was founded. 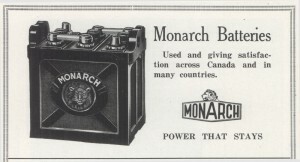 Another business, Monarch Battery Company, was established in 1921 on Montreal Street.